Cell culture medium. Multi-well plate containing cell culture medium (Dulbecco's Modified Eagle's medium, DMEM). Laboratory notebook and microcentrifuge tubes are in the background. 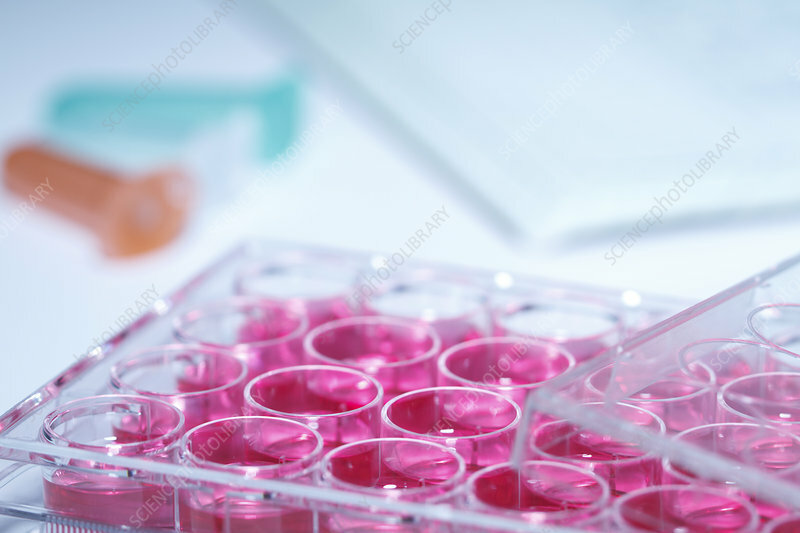 Cell culture medium (or growth medium) is commonly used in biological research to maintain and grow cells in tissue culture. Studio shot.